I have been wanting to change up the space above our kitchen desk area for ages. I decided to build some Ballard Design knock-off shelves to brighten up the space and have a canvas for switching my decorations for the changing seasons. I finally got them finished! 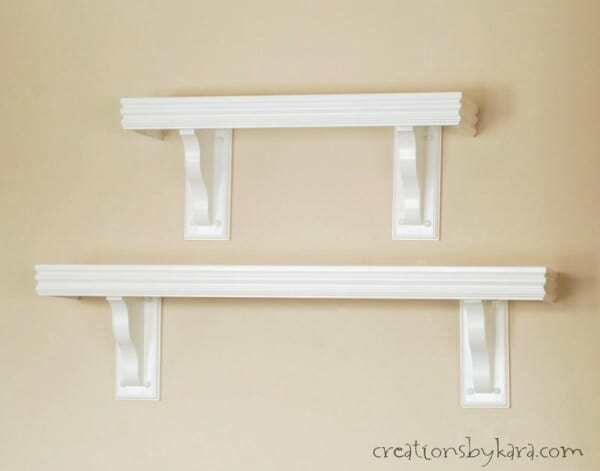 As far as DIY shelves go, these are pretty simple. Just a board, some wood trim, and a couple of corbels. I followed my friend Shelley’s instructions for DIY shelves, and they worked perfectly! The only thing I had to do differently was buy more of the little wood plugs to cover the holes in the corbels. They only come with enough to cover the front facing holes. But since ours are hanging above a desk, I needed to fill the holes on the underside. It bugged me that you could see them when you looked up. This is what I had in the space before, and I am already LOVING these shelves much better! I have started sprucing the shelves up for Christmas, and I can’t wait to show you! Some of you may have already noticed them. I gave a little sneak peek when I shared my Christmas Tree Banner. It is hanging on the front of the lower shelf. 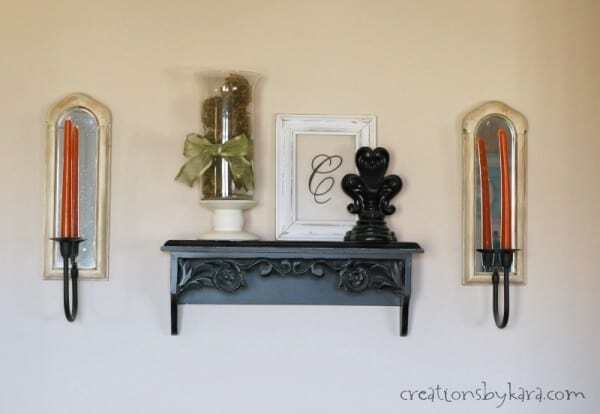 So many fun decorating possibilities with these shelves! My kitchen/family room space is gradually getting to where I want it to be. At a snail’s pace, but at least we’re moving in the right direction! This is an industry standard approach and one you mustn’t try and avoid. This is extremely hard to perform with no plan, as you will just run around patching holes and waste a great deal of energy inside process. 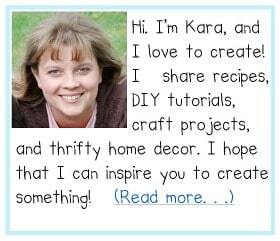 If you have that selfish mentality of just attempting to generate profits by blogging, it certainly can’t work.